1. 160mW powerful energy to do fat loss treatment. 3. Large color touch screen, better for operation. 4. Treat All Skin Types, Treat All Body Parts. 5. Accelerate tissue coagulation to avoid muscle slack after slimming. 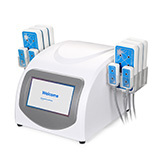 This device uses 635nm-650nm LED Laser that heats the fat cells in the targeted area causing them to break down. The fat deposits are absorbed and expelled through our body’s natural metabolic process. Big paddles are used on the big area of the body and small paddles are used on the smaller area like arms. 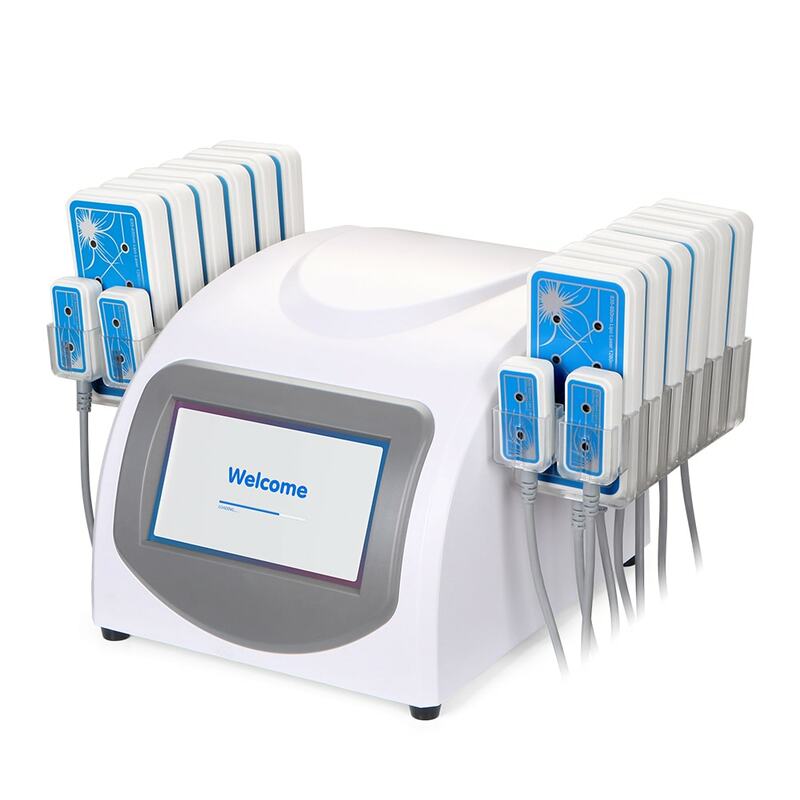 160mw lipo laser treatment is efficient for fat removal by metabolism, applies the large pads on belly, stomach to removal cellulite, put the small pads on arm to reduce weight. Slim you! Beauty you! 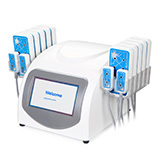 Lipo laser device is cosmetic treatment device which supports body sculpting; helps remove excess weight and cellulite, without damaging the other tissues such as nerves, skin or blood vessels.